Please pardon our site's appearance while we add to and update our site. Stay tuned for more info! Some estimates say that as high as 70 - 90% of all visits to doctor's offices are stress related, leading to a $1 trillion epidemic in society. The ripple effects from stress are too big and complicated to be accurately calculated. We all experience stress. Some stress in the right measure and right time is good for us, like exercise or acting quickly to save someone in an emergency situation. The key is to be like a cat relaxed and alert, thus able to explode into action quickly, and just as quickly return to that equilibrium state of relaxation. QiBo Wellness (pronounced "chi-boh") aims to impart these skills, in a simple step-by-step method. QiBo Wellness is the brainchild of Chet Zeiger. He spent 2+ decades studying and researching Chinese qigong, as well as the “internal” martial arts of baguazhang, taijichuan (“Tai Chi”) and xingyichuan. His curiosity of how everything worked from a very early age led him to major Physics and Mathematical Economics at Rutgers and Columbia University respectively. When someone with in inquisitive mind and strong background in physics, math and engineering likes something, she (or he in Chet's case) wants to learn all the whys and hows and figure it out. Chet realized early on that qigong (pronounced chee-gong) or "breath practice/work" was the basic building block of optimal health and martial arts. Qigong is one of the main pillars of Chinese Medicine for well over 3,000 years. It has been prescribed by doctors of Chinese medicine throughout history, being as important and often more important than medicine. It was prescribed for illness, and most importantly, for health maintenance and prevention of illness. Constant practice with a keen attention to details of the basic principles was the way to achieve the quickest results. Taking this to what Chet considered its logical conclusion, he figured more than one principle of qigong can be practiced every waking moment, and the effect is cumulative and synergistic. Starting this early on in his qigong and internal arts journey, Chet put his hypothesis to the test in several areas in his life: health maintenance, fighting and peak performance in college and work. As a result, he has enjoyed excellent health and fitness during the same period, as well as great success in college and business. Over time, he has helped many others to benefit from the same. During the early 1990’s , Chet worked in international business and moved to the center of Moscow as the USSR as it was breaking apart. These were exciting and often dangerous times. He used his knowledge from neijia, or China's internal development arts (qigong, taiji, etc.) to survive and thrive in such difficult situations. The same tools have been invaluable in helping navigate other stressful situations in business, various critical situatons and elsewhere in life. 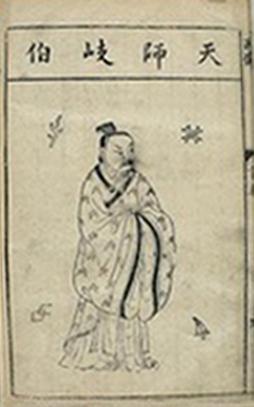 He named the method The QiBo Method, after the mythical and legendary doctor, QiBo (Chinese: 岐伯; pinyin: Qíbó; Wade–Giles: Chi Bo) an adviser to the also mythical king/god, the Yellow Emperor in China(~2,650 BCE). QiBo received knowledge from celestial entities and in turn transmitted the arts of health, medicine and native philosophy to the Emperor and in turn, to Chinese civilization. In this sense, he was a conduit or messenger bringing extremely valuable yet previously unknown information from an inaccessible place, to those who needed it. In our own humble manner, we aim to do the same at QiBo Wellness. That is, to bring the essence of qigong and other Chinese health and performance modalities, out of obscurity, demystify them and bring them to the public. Our team includes a Aaron Chevinsky, MD, MBA, FACS, a nationally-recognized board-certified doctor specializing in Surgical Oncology, and Marc Mastrandrea, LAc., a physician of Chinese Medicine, both in the US and Beijing. Bios in the About section. We also partner with cutting edge health practitioners and resource providers from the US and China, bringing the best of information, research and methods to you. The QiBo Method is the essence of qigong principles, "the DNA," and can be learned by anyone. Over the years, it has been taught to toddlers through seniors, doctors, high performance athletes and executives, yoga instructors, martial artists and people recovering from disease and injuries. In 2007, Chet gave a brief demonstration of breathing to Dr. Mehmet Oz at a charity event that led Dr. Oz to say on The Oprah Show one month later, answering the question of what the best exercise was: "If you want to live to be 100, never get sick and be happy, the best exercise to do is qigong." Although any qigong is better than none, the principles are very specific and most often are missing to a very large extent in qigong and tai chi classes. When they are present, people including teachers, often forget about them when they leave their training sessions. The key is to be practicing regularly throughout the day, outside of regular specific training. The benefits derived will carry into every aspect of one's life. Breathing directly or indirectly regulates every function in the body. Breathe well and the other functions and systems have the opportunity to work optimally. Having less than ideal breath will be the limiting factor in other functions and systems working optimally. It's that simple. We will be posting about the exciting and relatively new field of gasotransmitters, and what science is learning about these vital gases and mechanisms that are responsible for so many functions in our bodies. Chinese culture has been using their own concepts and context to describe the same functions and effects for centuries, with remarkable accuracy. This ongoing research will lend a Western medical perspective on why these ancient Chinese therapies have been so effective. Essentially, good qigong includes gasotransmitter therapy, as this practice helps regulate and balance gasotransmitters, especially nitric oxide (NO), hydrogen sulfide (H2S) and carbon monoxide(CO). Better posture - more expanded, less collapsed. Structurally aligned. Better posture is one of those characteristics that others around us often pickup right away, either consciously or unconsciously. It gets us noticed and in a positive way, in social interactions, work, interviews and other settings. It is often considered a sign of self-confidence. Better breathing - more space in the body allows the lungs to expand and compress fully and naturally, affecting all other functions, and very directly brain waves, digestion, and organ function. Resting breath rate should be 4 - 8x/minute. Science is focusing a lot of attention now on gasotransmitters, and how breathing plays an important role. This is just one aspect of proving the validity of Chinese qigong exercises that are up to 3000 years old. There are numerous peer-reviewed studies showing the efficacy of qigong, tai chi and breathing in general. Harvard is a leader in research. with Dr. Herbert Benson being a pioneer and coining the term "The Relaxation Response." Great Mood - it is challenging to be in a good mood by breathing shallow and 12-20/minute, especially when life happens. Endorphins and other endogenous "happy opiates" are released with full, calm breaths of 4-6x/minute. They are restricted otherwise. This alone is enough to change society, as mood affects health, which affects mood, etc. Stress Management / Anger Management - This is a big one. Stress in a normal part of our physiology, and helps us deal with short term issues, like a life and death situation, intense exercise and other situations. However, we as a modern society take stress with us and make it a normal part of our lives, much to our detriment. Chronic stress is not natural, although its prevalence makes it seem normal. When we can change our relationship with stress, we can change the world. Productivity at Work - better health and mood = better productivity, less sick days, more teamwork and better corporate culture. Strong Immune System - better breathing along with better mood greatly enhance the immune system. Excellent Balance - better posture and structural alignment, combined with internal awareness automatically increase balance while still or moving. Best to hardwire as early as possible so it grows with you. However, it can be learned and provide value at any age. Better Presence - doing all of the above helps you look better and be more aware, of your surroundings and people with whom you are interacting. Presence = charisma. Most communication, approximately 80% according to experts is non-verbal. QiBo Method allows one to be an excellent listener, speaker, presenter and can be a powerful tool in leadership. Clear Thinking - when your body is functioning properly and you are in a good mood, the ground is fertile for clear thinking. Blood and therefore oxygen circulation is optimal. The world can use much more of this, in politics, society, business and religion. Mindfulness - this is a natural by-product of regular qigong. Simultaneous awareness of your inner world and outer world put one into a state of mindfulness. Gratitude - also a natural by-product of The QiBo Method. When your breath becomes so important to you and you can appreciate that, everything else falls into place. Qigong principles are what makes tai chi work. The QiBo Method can be practiced by anyone, while doing other activities. There are many qigong exercises that can be practiced specifically, and the QiBo Method principles will maximize their benefits. The secret is the efficiency of the method and the ability to access and practice three or more of the principles throughout the day while going about your business. No excuse any longer for people not having time. Things do not need to be complicated to be greatly effective. In the case of The Qibo Method, they are fairly simple, based on principles and consistently practiced. The benefits and synergy of this practice ripple out to every part of your life and those around you, your family, socially, at work and society at large. We cannot solve our healthcare crisis by throwing more money and medicine at it. No amount of money will help, without changing the core of the problem. The answer must come from within each of us. It is not too late, and each of us can make a big difference in building a healthier and happier society. Now is the time to start. We at QiBo Wellness can show you the way. Each breath offers us the opportunity to change our lives. How we use that opportunity is up to us. What if you could instantly control your stress and mood, and greatly improve your overall health? How would your life change? The FibroFatigue Program - International, evidence-based complementary program for getting at the roots of fibromyalgia and chronic fatigue syndromes. Please contact us by email or phone to learn more. HOW MUCH LIFE-GIVING AIR DO YOU BREATH IN? Watch to learn about lung capacity and your potential for health and vitality with regular practice. Made from the highest quality herbs on the planet, wildcrafted from the Tibetan plateau in Sichuan, China. Coming Soon. Healthy and happy breath, healthy and happy life. Learn how the QiBo Method harmonizes and optimizes your body's and mind's natural tendencies towards health. International evidence-based, integrative treatment specifically designed for fibromyalgia and chronic fatigue available starting July 1st. Special support opportunity for those suffering to get their lives back again. Sign up on our mailing list to get more info. Honored to be selected among 40 doctors and qigong specialists in the US to offer this life changing program. For more information on our Fibro-Fatigue Progam click here. Exciting new project connecting with wildcraft-sourced herbs from high on the Tibetan Plateau, Sichuan and Tibet. The finest therapeutic herbs anywhere. Foot soaking is one of the oldest forms of Chinese medicine, and is still common and very popular in China and surrounding countries. Stay tuned! Use the contact area below to subscribe to Qibo information updates. Please, feel free to ask me a question! The information on this website is not intended to diagnose, cure, treat, or prevent any illness or disease. This information is not to be misconstrued as medical advice. These statements have not been evaluated by the Food and Drug Administration. Please consult your physician.